For centuries they have been taking in weary travellers, offering respite from fierce weather and acting as homes for thousands of people. Now religious sites are throwing open their doors and encouraging people to come and stay, offering something unique for visitors. From buildings steeped in history and ancient rituals to truly outstanding art, these incredible sanctuaries are places of deep significance and poignancy to the faithful traveller. Many people travel because they lack something at home, whether that is peace, solitude, new experiences or even history. Stay at one of these incredible pilgrimage sites and escape the daily routine, step back from modern life and discover something new. Look at it as a form of cathartic treatment: travel as therapy if you like. With an open and inquisitive mind and you are sure to learn something new hopefully leave with a deeper understanding of yourself, your destination and your religion. Where else to start than Italy? Home to the Catholic Church and dripping with religious relics, paintings and history; Italy has more religious sites open to guests than anywhere else. 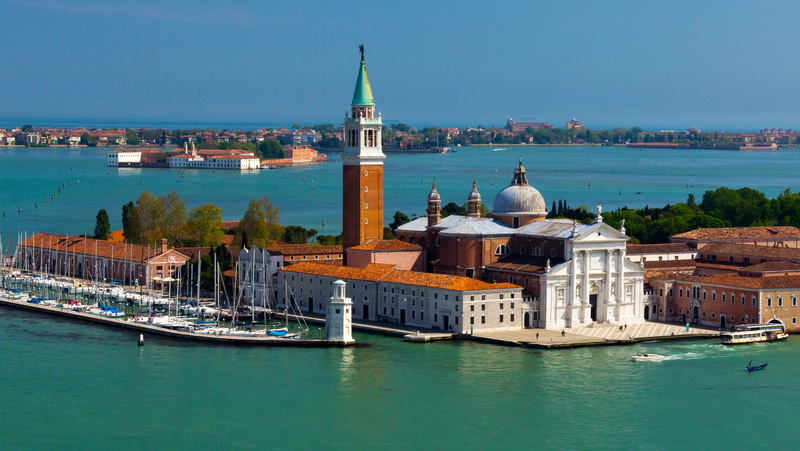 A great choice is San Giorgio Maggiore, a 16th century monastery in Venice that features on many stock images of the city. Run by Benedictine monks, visitors can stay in one of only five guest rooms, which feature original works by Tintoretto and Tiepolo. It is also situated on a private island just moments from the Piazza San Marco. Imagine the generations of monks that have stared at the intricate and mesmerising buildings. Admire the paintings by some of the most famous of all Italian renaissance artists. Spend time chatting with the monks, who still live at the monastery and perform the same daily tasks as their forefathers in the 1500s. Staying here you’ll gain a true appreciation for the city’s history and traditions. In Quebec the St Augustinian Sisters have seen their membership fall from more than 800 toaround 140. Having run convents and hospitals in the city since the 1600s the nuns decided to step back and hand the majority of their works over to the city and focus on their main monastery. Now visitors can stay at the beautiful Monastère des Augustines, where the 65 nuns’ cells have been converted into modern hotel rooms for visitors. Guests can enjoy the building and also explore the centuries-worth of relics and treasures in the museum. See 400 year old medicine bottles and hand-written letters from King Louis XIII. Then visit the wonderful gold shrine and tomb housing the remains of the blessed Catherine de Saint-Augustine. Created by renowned artist Noël Levasseur in 1717 it is truly something to behold. For a true taste of sanctuary and insight into ancient Japan, head to Shojoshin-in Temple located at the top one of the country’s most sacred mountains - Mount Koya. Slip back in time in this traditional ryokan complete with natural hot springs. You can study the art of Zen Buddhism with monks, learn to find your inner peace with a daily 45 minute ceremony, enjoy spectacular vegetarian food and relax in peaceful solitude. Here your temple backs onto the Okunoin Cemetery which leads to the Okunoin Temple where Kobo Daishi, the founder of Shingon Buddhism is enshrined. Originally a thatched hut built by Kukai more than 1,150 years ago, it boasts beautiful 150-year-old buildings. Explore the large ornate wooden structure overlooking a small garden and pond. As you stroll amongst the grounds and the nearby sights, you will sense the history and serenity of this holy place in all its glory. Whether your stay involves a tiny secluded temple, an enormous sprawling monastery or an urban refuge for nuns, there is always a way or place to seek sanctuary. Religious sites are in fact just one aspect of the spectrum. If you approach your travels with the right mind set, the peace you seek from a foreign country can leave you with greater understanding of the region and yourself.